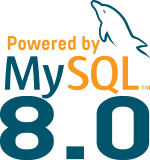 I’m starting a small series of videocast related to MySQL Group Replication. As I blogged earlier this year about Single-Primary or Multi-Primary Group Replication cluster, one of the limitation of using a cluster in Multi-Primary mode is the risk linked to concurrent DDLs (as ALTER STATEMENTS). Why does tps goes to 0 post alter table ? Check sysbench run from 68secs-70secs. tps is reported as 0.